›Super Readers, to the Rescue! 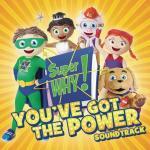 Super Why! Theme Fairytale Friends The Power to Read Hip Hip Hooray!